Just to prove that I do still manage to do some knitting (it's not all running and my new obsession with sewing), I'm finally making tangible progress on a project that's been on the needles for years now. Properly years. 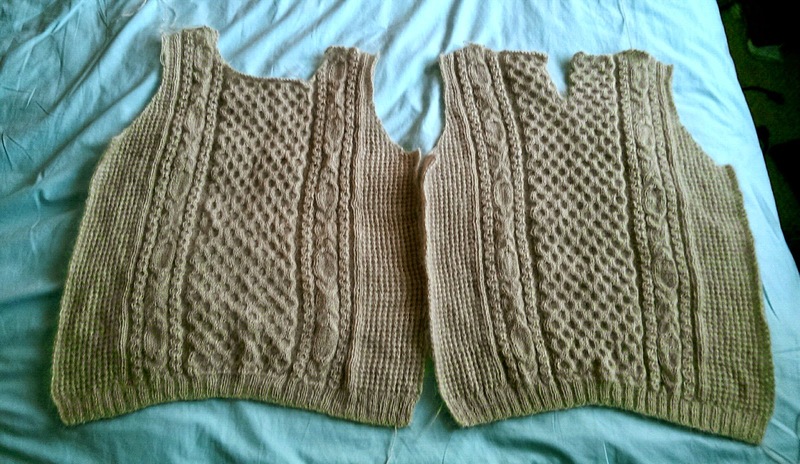 To cut a long story short, it took me an age to knit the back piece, and once it was finished and looking lovely I placed it against a jumper I already had and realised it was a good few inches too short. No mention in the pattern of it being a more 'cropped style' jumper, just rumblings on ravelry about having to add length. I was a bit distraught and put it away in a bag of shame. Where it sat until something so mindlessly boring (lace knitting) made me feel ready to face it again. And now I've got a front and a back! Of an appropriate length! 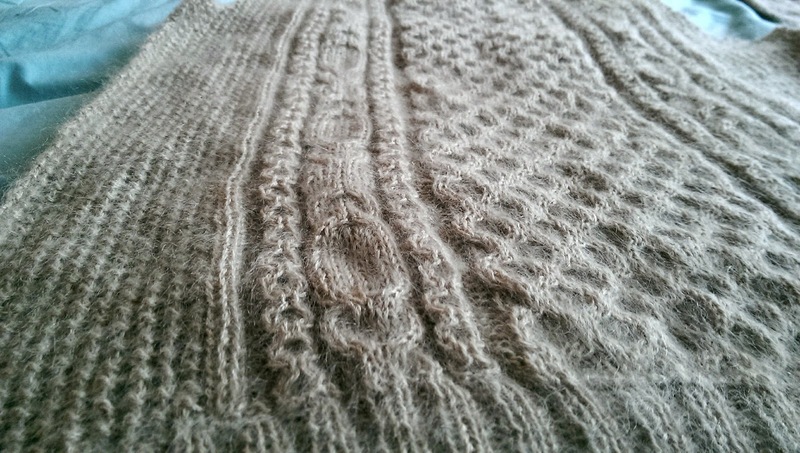 By the way, the pattern is Craft, from Kim Hargreaves' book Scarlet.